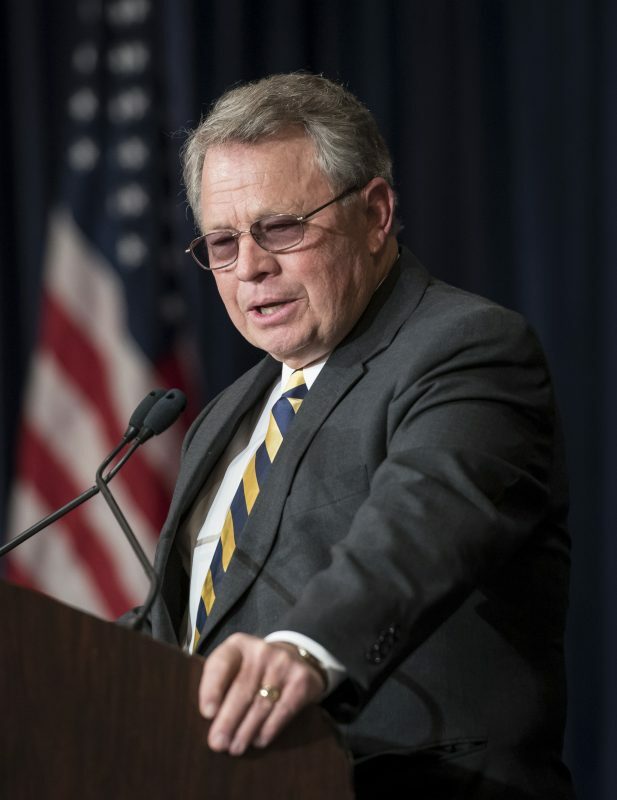 LOUISVILLE — Legendary newspaper columnist, author, television and radio host, and writer of the “back page” for Kentucky Living, Byron Crawford was honored as the “2017 Distinguished Rural Kentuckian” at the 71st Annual Meeting of the Kentucky Association of Electric Cooperatives (KAEC). The award is the highest honor bestowed by Kentucky’s electric cooperatives, which consists of 24 local, member-owned cooperatives. Described as “Kentucky’s Storyteller,” Byron Crawford is a legendary Kentucky newspaper columnist, radio and television news anchor and reporter, and celebrated author. Byron career includes nearly thirty years at the helm of the “Kentucky Column” of the Louisville Courier-Journal. Crawford worked in radio news at WAKY-AM, WCKY-AM and WHAS-AM, and as a feature reporter and host for WHAS-TV, KET and on his syndicated “Sideroads” program. For the last eight years, he has authored the backpage column in Kentucky Living magazine. Click here to read Byron Crawford’s backpage columns in Kentucky Living.